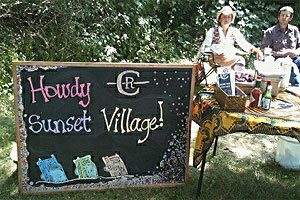 Sunset Village, the popular and cozy Near West neighborhood, saw a huge increase in single family home sales in 2013. 44 homes sold in the neighborhood, up a whopping 42% over the 2012 total of 31 home sales. Prices also climbed in 2013. The median sale price was $237,750 - up 6.6% from $223,000 in 2012. Just how popular is Sunset Village? In 2013 the median number of days on the market was only 12, and the available inventory sits at 1.9 months.